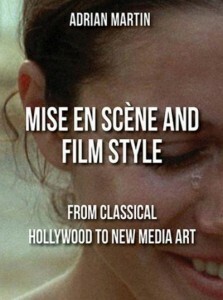 This is the second part of the Appendix of my 2004 collection Essential Cinema: On the Necessity of Film Canons. — J.R. The criteria I’ve used for inclusion on this list are pleasure and edification; I haven’t factored in any sense of historical importance that might exist independently of these factors. I’ve incorporated shorts as well as features, both animation and live-action, and videos as well as some works made for television, but not anything made for a TV series. 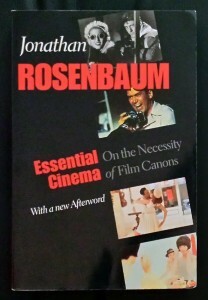 This is the first part of the Appendix of my 2004 collection Essential Cinema: On the Necessity of Film Canons. — J.R.
From Kevin Lee’s web site, posted circa 2004. — J.R. The following questions for Jonathan Rosenbaum were compiled by myself and esteemed colleagues at the IMDb Classic Film Board. 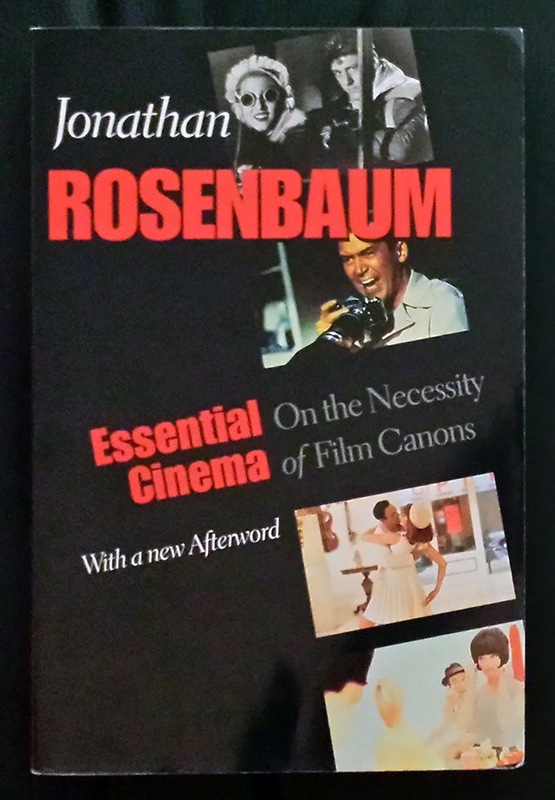 They were e-mailed to Rosenbaum on the occasion of the release of his book ESSENTIAL CINEMA. His responses appear after each question. From the Chicago Reader (July 22, 1994). — J.R.
With the voices of Matthew Broderick, James Earl Jones, Jeremy Irons, Rowan Atkinson, Moira Kelly, Jim Cummings, Whoopi Goldberg, and Cheech Marin. Though it’s somewhat less entertaining than The Little Mermaid, Beauty and the Beast, and Aladdin, The Lion King marks a welcome and fascinating shift in the Disney animated feature. It may be just a coincidence, but Disney’s new live-action Angels in the Outfield, a multicultural remake of a 1951 baseball fantasy, marks the same kind of racial and ethnic reorientation. I’d like to think that the widespread (and justifiable) objections raised by Middle Eastern groups to the xenophobic stereotypes in Aladdin have finally led to some rethinking by Disney executives about how to handle such ethnic material. If my hunch is correct, these changes represent not so much a kowtowing to political correctness as a more accurate reckoning of Disney’s stateside and international audience. This book can now be purchased as a paperback for just under $28.00 (or less) on Amazon. — J.R.
A short review commissioned by Film Comment (July-August 2002), which left out the asterisk in the title. – J.R. I recently read in a film festival report that Michael Snow’s new 92-minute feature was a bit longer than it needed to be. This conjured up visions of a test-marketing preview — cards handed out at Anthology Film Archives with questions like, “Would an ideal length for this be 82 minutes? An hour? Three minutes? 920 minutes?” For even though this may be the best Snow film since the La Région Centrale in 1971 — a commemorative (and quite accessible) magnum opus with many echoes and aspects of his previous works — it enters a moviegoing climate distinctly different from the kind that greeted his earlier masterpieces. In 1969, the late, great Raymond Durgnat could find the same “mixture of despair and acquiescence” in both Frank Tashlin and Andy Warhol; today, on the other hand, avant-garde art is expected to perform like light entertainment. The following was commissioned for a handsome hardcover catalogue to a comprehensive Robert Frank retrospective held in Graz, Austria by Diagonale in 2003. It was produced by Philippe Grandrieux (better known nowadays for his own films), for La Sept (French TV); C’est vrai! was its original (i.e., French TV) title. I’ve slightly revised and updated this piece for its appearance here. –J.R. “I’ve seen La chouette aveugle [The Blind Owl] seven times,” Luc Moullet once wrote of Raúl Ruiz’s intractable masterpiece, “and I know a little less about the film with each viewing.” Apart from being both intractable and a masterpiece, I can’t say Robert Frank’s One Hour has anything in common with the Ruiz film, yet what makes it a masterpiece and intractable is the same paradox: the closer I come to understanding it, the more mysterious it gets. From the Chicago Reader (March 1, 1991) — J.R.
With Kyle McCulloch, Kathy Marykuca, Ari Cohen, Sarah Neville, Michael Gottli, and Victor Cowie. Written for the FIPRESCI website in February 2004. — J.R.
To the best of my recollection, the first time I ever met Simon Field, the departing artistic director of the Rotterdam International Film Festival, was in the early 1970s — either 1970 or 1973 — when he was programming a festival of experiment filmmaking at the National Film Theatre in London (something he informs me he did both of those years). 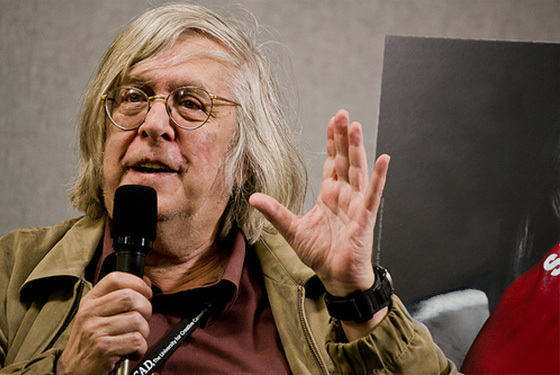 From the beginning of his eight years at the Rotterdam Festival, a major part of Simon’s special contribution has been not simply an emphasis on experimental film but also a kind of investment in that branch of cinema that perceives and highlights its interconnections with the other arts as well as with other kinds of cinema. There has always been something refreshing about his pluralistic and nonsectarian way of defining film experiment, and one can see this in the range exhibited by Afterimage, the invaluable magazine he coedited in England with Ian Christie for many years — an occasional publication which found room for Raoul Ruiz as well as Michael Snow, Noël Burch as well as Steve Dwoskin, and Jean-Luc Godard as well as Stan Brakhage. From the Chicago Reader (March 15, 1996). — J.R. This appeared in the April 6, 1990 issue of the Chicago Reader. Although my favorite Cecil B. De Mille film is the talkie version of Dynamite (1929) — I still haven’t seen the silent version, released around the same time — The Ten Commandments (1956) is probably the film of his that I’m most familiar with, along with the somewhat underrated Samson and Delilah (1949). Part of what’s so remarkable about the scandalously underrated and neglected Dynamite [see still, above] is how real and serious it contrives to make the marital pairing of a coal miner (Charles Bickford) and a spoiled city heiress (Kay Johnson), even though brought about through preposterous plot contrivances, and how, in spite of De Mille’s conservative social and political biases, it assigns equal amounts of dignity and vulnerability to both classes. It’s also one of the most suspenseful and charged melodramas to have ever come out of Hollywood. — J.R.
Dist–TCB. p.c–Drew Associates. For the Bell System. p–Robert Drew, Mike Jackson. assoc. p–Harry Moses. p. co-ordinator–Jean Swain. sc–(not credited). ph–Abbot Mills, Juliana Wang, Ralph Weisinger. asst. ph–Bill Hanson. In color. ed–Naomi Mankbwitz. m.d–Donald Voorhees. songs–fragments of “When the Saints Go Marching fn”, ”Hello Dolly”, “Rose”, “The Kinda Love Song” by George Weiss, performed by Louis Armstrong; “Con Alma”, “Swing Low, Sweet Cadillac” performed by Dizzy Gillespie; “I’m in a Dancing Mood” performed by Dave Brubeck; “Light in the Wilderness” by Dave Brubeck; ”Forest Flower”, performed by Charles Lloyd. sd–Dave Blumgart, Stan Agol. narrator–Don Morrow. with–Louis Armstrotrg, Dave Brubeck, Paul Desmond, Joe Morello, Eugene Wright, Iola Brubeck, Matthew Brubeck, Michael Brubeck, Catherine Brubeck, Christopher Brubeck, David Brubeck, Darius Brubeck, Charles Lloyd, Keith Jarrett, Dizzy Gillespie, James Moody, George Weiss. 1,921 ft. 53 mins. (16 mm.). Interviews with Louis Armstrong, Dizzy Gillespie, Dave Brubeck and Charles Lloyd, interspersed with snatches of their music in rehearsal or performance. From the March 1980 issue of American Film. – J.R.
It’s pretty apparent to anyone who meets avant-garde filmmaker Yvonne Rainer for the first time that she used to be a dancer. But one probably has to see at least one of her four challenging features in order to perceive that she used to be a choreographer, too. And it’s only after one considers her in both these capacities that one starts to get an inking of what her viewpoint and her art are all about. The first time I met her — three and a half years ago, at the Edinburgh Film Festival — Rainer reminded me in several ways of writer and filmmaker Susan Sontag. It wasn’t merely the somewhat glamorous positions that both women occupy on respective intellectual turfs. There was also a kind of spiritual resemblance that seemed to run much deeper: voice tone, appearance, wit, grace, and coolness masking an old-country sense of tragedy and suffering. Dist–London Film-makers Co-op /Cinegate. conceived and executed by– Michael Snow. In colour. ed–Michael Snow. sd–Darvin Studio. with– Allan Kaprow, Emmett Williams, Max Neuhaus, Terri Marsala, Donna Aughey, Joyce Wieland, Louis Commitzer, George Murphy, Dr. Gordon, Liba Bayrak, Anne Scotty, Nancy Graves, Richard Serra, John Giorno, Paul Iden, Alison Knowles, Jud Yalkut, Susan Ay-O, Mac, students in the HEP program at Farleigh Dickinson University. 1,872 ft. 52 mins. The camera pans back and forth across an outside wall of a classroom while a man crosses part of the field. The pan resumes inside the classroom in a fixed trajectory, revealing an asymmetrical area including part of a blackboard and a door on a far wall, two pairs of windows on the wall closer to the camera, and desks in front of the blackboard; trees, building and occasionally passing vehicles are partially visible through the doors and windows. From Sight and Sound, Winter 1975/1976; also reprinted in my first collection, Placing Movies: The Practice of Film Criticism. — J.R. The role of a work of art is to plunge people into horror. If the artist has a role, it is to confront people — and himself first of all — with this horror, this feeling that one has when one learns about the death of someone one has loved. 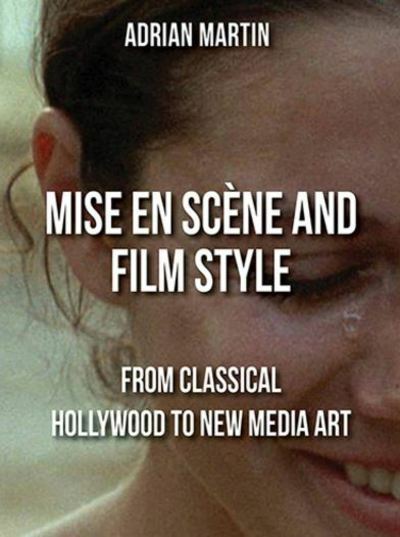 For interpersonal communication, [the modernist text] substitutes the idea of collective production; writer and reader are indifferently critics of the text and it is through their collaboration that meanings are collectively produced . . .